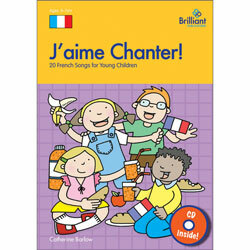 Petites Étoiles is a resource for teaching French to young children from ages 4 - 7. There is a big focus on songs and rhymes and this comprehensive resource also provides lesson plans, activities and ideas to last you from Reception (4-5 year olds) right through to Year 2 (6-7 year olds). 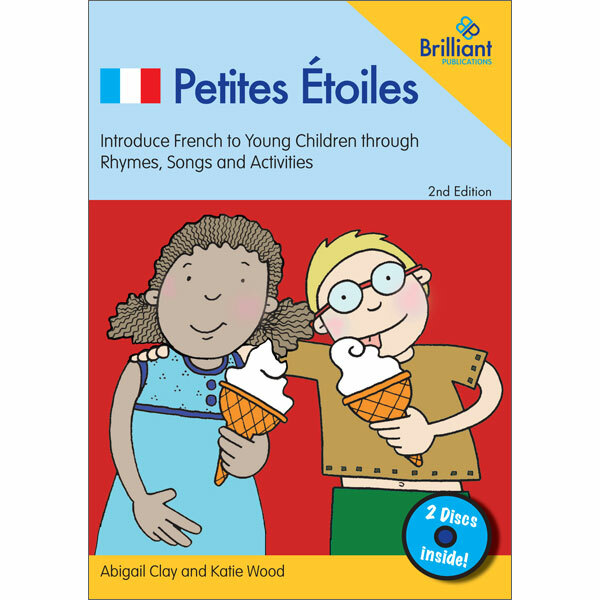 Based on 18 popular topics, including greetings, toys, counting, food and celebrations, the activities and ideas in Petites Étoiles will integrate easily into your planning. There are video and audio files for support, and the clear, easy-to-use layout, make this resource accessible for both specialist and non-specialist teachers. 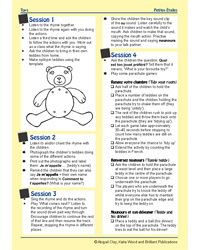 Each unit focuses on a rhyme or song and contains sufficient activities for at least half a term's work. 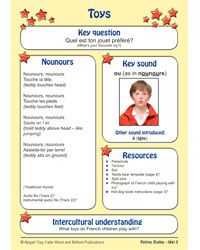 The accompanying resources CD-Rom contains audio recordings of the songs (with karaoke tracks too), video clips to aid pronunciation of key sounds, as well as a huge bank of reproducible resources. The spontaneity and lack of inhibition of early years and KS1 children make them exceptionally receptive to learning a foreign language. Petites Étoiles capitalizes on this, providing a wealth of practical, play-oriented activities, ranging from role-play and miming to phonics games and mask making. 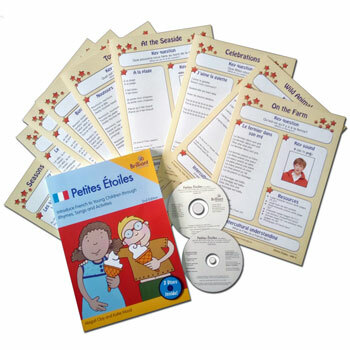 Petites Étoiles has been developed for use with children aged 4 - 7 years (Early Years and Key Stage 1) who are new to French. It is a suitable resource for a non-specialist teacher.